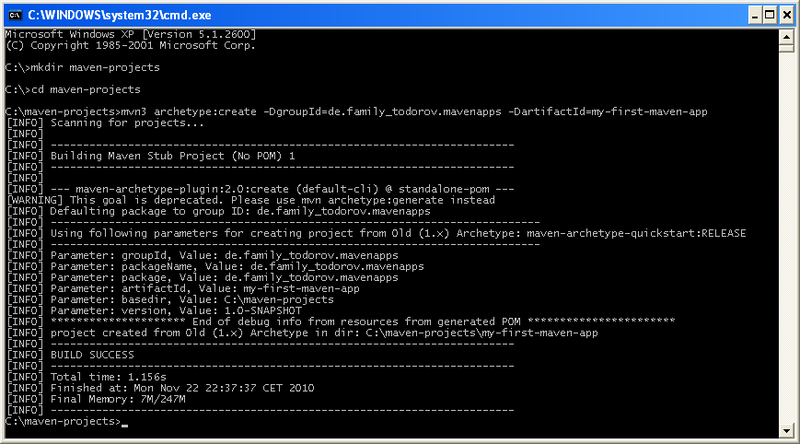 Go into my-first-maven-app (cd my-first-maven-app) and run (mvn3 install) to compile your maven project. If you can read "Hello World!" in the cmd dialog you have done ! Congratulations, you have created your First Maven Project!